A both teams to score bet is the ideal choice if you’re worried about which team will win a match. For a both teams to score tip to be a winner, we simply require both teams in each match selected to score a goal or more. For example, you decide that both teams to score in West Ham vs Manchester United is a good bet – add them to your BTTS coupon and if both teams find the net, that leg is a winner. It really is that easy! You will see all of today’s seelctions above and if there isn’t a bet available, you’ll see the bet for the following day. Check back later on or tomorrow for the newest both teams to score tips and see what you think. To get a winning BTTS bet, you need to have a decent knowledge of football and be able to accurately predict the outcomes of matches, namely, which matches will involve a few goals. Our tipsters are all knowledgeable and spend a lot of time watching the beautiful game. This gives them a fantastic basis from where they can predict both teams to score matches ideal for this type of bet. What are BTTS Acca Tips? Both teams to score and BTTS are exactly the same thing, it’s simply just an abbreviation so we can write it out quicker. You will see the accumulators also shortened to ‘acca’ or ‘accas’, so a BTTS acca is simply a both teams to score accumulator but less of a mouth full. You might also hear them just called ‘BTTS tips’ and again, that is just a quicker way of saying the bet. The same rules apply – you need both teams to score in each match selected for your bet to be a winning one. Everybody loves a weekend football bet and we are no different at thatsagoal.com. Both teams to score provide a brilliant way to keep yourself entertained during a spell in front of Jeff and the boys for Soccer Saturday. Our weekend BTTS tips usually come in the shape of a 4-fold but we do sometimes stretch to our famous 7-fold with odds of anything up to 60/1 available in the past. These types of BTTS tips are harder to win but the fun is always there. Our football betting tips for the weekend will be available from Friday morning and come from the Premier League, Championship, League One and League Two, with the occasional non-league or Scottish fixture thrown in for good measure. The weekend football tips are always from the 3pm kick-offs because we want all four matches to start and finish at the same time, it would be a nightmare if we predicted a bet and it was already down because of an early kick-off. There is almost always enough Saturday afternoon fixtures to get our four selections from and that’s where the both teams to score accumulator comes from. Our both teams to score tips predictions for today are above this post and we’re looking to bash the bookies with the usual 4-fold. We will have daily BTTS tips for you this season in the form of a BTTS accumulator. That’s right, every evening there will be a bet at the top of this page from our resident tipster who will look through the stats and get a prediction online for you. The selections are always well researched so you have the best chance of getting a winning bet and we try and provide a new BTTS betting tip each day. Our daily bets will be updated the evening before the first match kicks-off you have plenty of time to go to your favourite BTTS bookmaker and get your bet on. Is BTTS betting the same as Both Teams to Score? Yes it is. BTTS is just a shortened version and you’ll see the coupon referred to as our BTTS tips throughout this page. Every Saturday afternoon you’ll be able to see the selections for the 3pm kick-offs and fingers crossed we turn our stake into some Saturday beer money. Each time you see the phrase ‘BTTS tips’ just think back to the abbreviation for both teams to score. Do you use BTTS Stats? Don’t just look at the form as a whole, look at the form home and away. For example, a team might have scored in all of their home matches this season but only in 20% of away games. If they are at home this weekend they are probably a good pick in a BTTS bet, but if they’re away from home it’s quite an alarming stat so you’d probably leave them out of your BTTS bet. Do teams have any injuries or suspensions? If a star striker was injured there is less chance of that team scoring. Stats like this are very important for this bet type before we are relying on teams scoring goals. Another good BTTS stat and strategy to use is to look at the past fixtures between two teams. In the Premier League there are loads of statistics available and if the matches are generally filled with goals, the match in question is probably a good option for this week’s both teams to score coupon. The home team is always more likely to score in a match – take this into account. When you hear people talking about ‘Goals Galore’ they are simply referring to the special Betfred coupon which is called that. This is exactly the same as Both Teams to Score but Betfred have decided to give it a special name. It so that happens that the Betfred Goals Galore coupon is one of our favourite ways to bet on our both teams to score tips for today so give it a go. Use the Goals Galore coupon today with a new Betfred account and you’ll get a £30 free bet. The odds on goals galore tips are generally better than standard BTTS coupons with other bookmakers, especially if you use their Goals Galore bonus coupon where they have even better odds – but be aware, some matches are left off of this coupon. Do you have any recommended both teams to score free bets? We love the Betfred coupon for goals galore bets. You can find the Betfred sign-up offer in our free bets section and there are also plenty of other betting offers to use. Using one of these free bets will ensure you can bet using the bookies money, not your own. There is always a min deposit for free bets and they are for new customers only. How you use the offer is up to you, but you could use the free bet on a big odds both teams to score tips to try and win a massive amount of money via a free bet. The advantage of using a sign-up offer is that you get a free bet regardless of your first bet winning or losing. 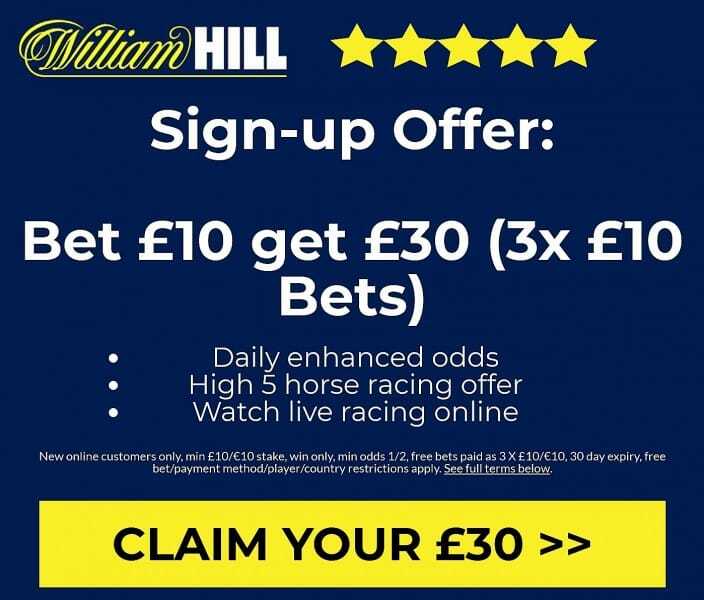 For example, sign-up to Betfred and bet £10 on one of our both teams to score tips, regardless of the result of the bet, you’ll get a £30 free bet added to your new account. Be aware that T&Cs apply and free bets expire after 7 days usually. You will also have to bet your original £10 on a bet at a certain minimum odds otherwise you won’t get the qualifying bet. Where are the other Thatsagoal football betting tips? There are a wide range of football betting tips, predictions and tips on Thatsagoal.com. You can find special links to all of these below but the today’s football betting tips section is a good place to start where you will find a quick run-down of all today’s football predictions and the upcoming weekend bets including both teams to score tips for Saturday. We also offer Premier League predictions for every top-flight match in England where our dedicated football tipsters preview the match and pick the best bets from that game.